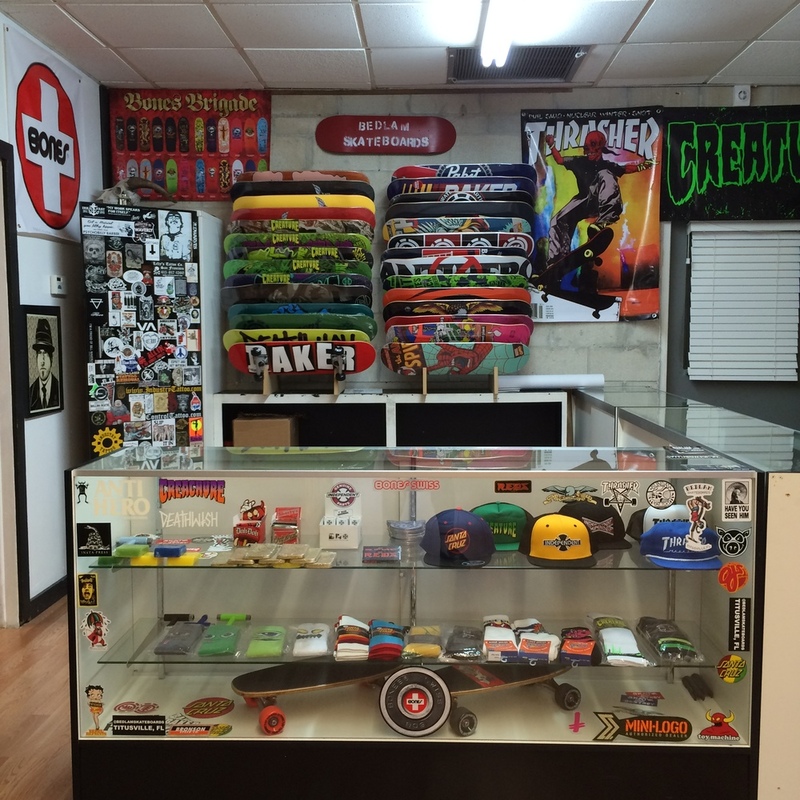 Bedlam Skateboards is located in Titusville Florida. Providing accessories and wears for your skateboard needs. From grip tape and socks to bearings and wheels. Bedlam has a select stock of quality skateboard supplies. Sharing a zone with Control Tattoo and Cosmic Vinyl, they provide a variety of things from custom clothing and skate merch, to handcrafted vinyl records. Come get a tattoo and buy a skateboard! Sign up for info on the latest inventory.